Our Final 2018 meet-up invites Foodman as a guest panelist and is held on Sunday Afternoon. 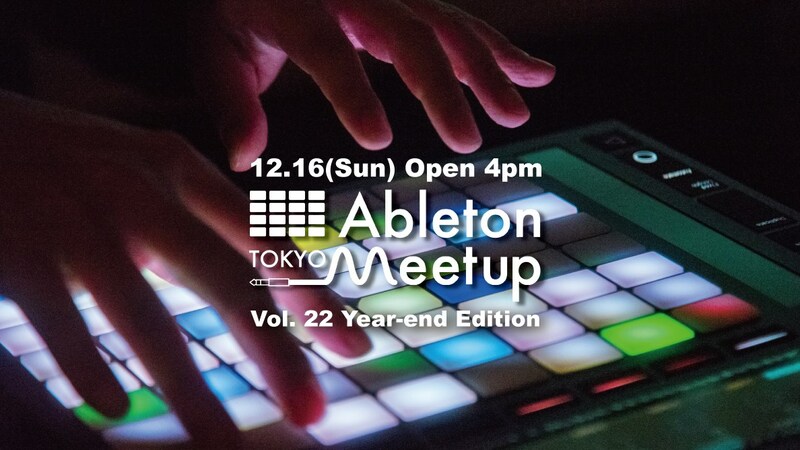 In this year-end meet-up for Ableton heads, we feature Loop 2018 report which is a conference presented by Ableton on Nov. 9 to 11 in LA. The guest panelist is Foodman who participated studio listening session and live performance at Loop, and talk about how was Japanese artist participates overseas conference with Koyas, an Ableton Certified Trainer who also attended Loop from Tokyo and CD HATA as a moderator. We also have presentations, one is “Ambient Music as an Environmental Design” by Yui Onodera, Yui talks about music as an environmental design, this is also a guide for Japanese 80’s ambient music which is recently getting revival. The another is “Session View for Bandsmen” by akim, who is a bass player with 5 strings and newly added Ableton Certified Trainer in Tokyo, tells how to use Session View for bandsmen. We welcome students for free to show your student ID at the entrance. This meetup ends up a bit earlier than usual so we hope to see young guys. PLEASE NOTE : ALL PROGRAM USES JAPANESE LANGUAGE.